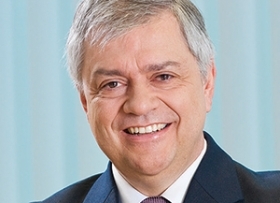 Continental's previous hybrid solutions failed to win over automakers because they were too "exotic," the supplier's powertrain boss, Jose Avila, said. The company responded by teaming up with Schaeffler to create a mild hybrid based on 48-volt technology. The affordable, easy-to-adapt solution, which Continental says improves fuel economy by 20 percent, debuted in Europe on Renault's new Scenic and Grand Scenic minivans late last year. Continental predicts global production of 48-volt hybrids will rise to 4 million by 2020 and 25 million by 2030. Avila, 61, talked about the technology with Automotive News Europe Managing Editor Douglas A. Bolduc. 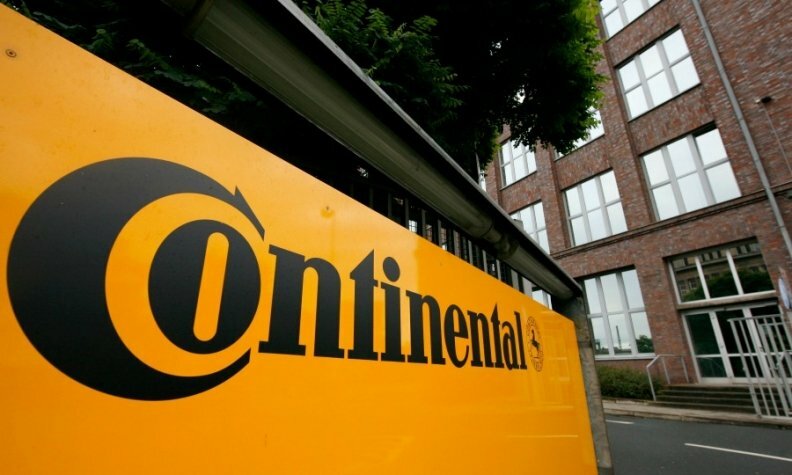 Why did Continental enter the 48-volt hybrid sector? A few years ago we were struggling with the fact that we invested a lot in electrification and hybridization, and somehow the end products were seen as exotic, low-volume solutions. Therefore, we decided to invest in affordable hybridization. I think it was a good bet that we took. The goal was to create something for high-volume vehicles, right? Continental's motivation after doing all these sort of low-volume hybridization exercises was to get on a vehicle where you have high volume. It is a mild hybrid. It stores energy. It gives energy back. It provides nearly all the functionality of a full hybrid. How long will it take for the system to become profitable? We have business on three continents, and we are adding production lines on all three. I hope that by around 2019 the volumes are respectable and show a tendency to continue to grow. But you don't want to go as far as saying profitable, right? The issue is that you're investing a lot in product lines. We don't report by product line. But the lines that are fully utilized definitely should be producing economically decent margins. Somewhere around 2020 and 2021, hybrid and full-electric vehicles will be growing but they will stabilize. The customers won't be looking to keep revolutionizing this solution. Hopefully, we can then reach a sweet spot with the technologies, and then you can produce the same base platform for several years. Avila: "We decided to invest in affordable hybridization." Is the backlash against diesels boosting 48-volt hybrid interest? After some of the diesel struggles, there has been some shifting toward gasoline to meet the future [CO2] fleet average. This will help the implementation of 48-volt systems. Many things are starting to come together. Why is your first 48-volt system on a diesel version of the Renault Scenic instead of a gasoline engine? The 48-volt can help both types of engines because of the way it works, especially the smaller engines. On the larger engines and heavier vehicles, the diesel still has an advantage. The Renault Scenic is a compact-sized car. Is this where we will see the majority of 48-volt systems in Europe? In Europe it's probably starting on C [compact] and D [midsize]. In the next decade it will probably migrate into smaller platforms, but the system will be different, offering less power and less range because price sensitivity is a big factor in this segment. Schaeffler Chief Technology Officer Peter Gutzmer thinks that in the next 10 years, 48-volt systems will account for the majority of hybrids. Do you agree? You get quite a bit of functionality for relatively low cost. This is the marvelous compromise of the system. What kind of take rate do you expect? Will the 48-volt system be helped by the tougher CO2 regulations that start to take effect in Europe in 2020? What we're seeing is a change in psychology. This will start as an option and the customers will monitor the take rate. As 2020 approaches, however, in many markets it could become a base product because of the need to reduce CO2. Some automakers are already saying that very few cars sold in mature markets in the next decade will not have some electrification. It is possible that their entire fleet will be electrified whether that be with 48-volt systems to hybrids to full electric cars. Continental has invested heavily in this system. Given the speed at which new technology is being introduced, is there a risk that this solution will be surpassed before you start seeing a big profit? A lot of factors are coming together related to lowering emissions. It's not just electrification. Automakers also need to have stability. They cannot reinvent the technology every two years. It's not a good proposition for them or us because the work is so complex and so massive. How does Continental decide when it’s the right time to make a bold investment in a new technology? It is a combination of doing some disciplined independent fact finding so you're not completely reliant on someone else's opinion and using good, pragmatic intuition because at some point you have to place your bets. You also need the discipline to avoiding getting caught up in exotic solutions. It is easier said than done.